We have all been there, the after lunch presentation that takes two hours, has 500 bullet points, and puts the most well intentioned person to sleep. Yet year after year, the standard Powerpoint snooze-fest continues. People keep filling slides with bullets in ever smaller font sizes and stand in front of everybody and read the slides to them, with presentation skills that need a definite refresh. My response: I don’t need you to read your slides to me… If you want me to read this stuff give me a printout and let me get back to work. I would like to share with you today some ideas to improve your next presentation. One where people pay attention, and actually look forward to the next slide. Here are seven ideas that will improve your presentation to help your audience focus on what you have to say and respond to your call to action. 1. Start at the Beginning. Research has shown that our attention spans are getting shorter and shorter. With the advent of e-mail and the internet, our current attention span is now under 30 seconds. In fact, while web browsing it’s as low as 9 seconds. This means that you need to get your audiences’ attention quickly… or you will lose them. The start of your presentation must be focused and create interest. Hit them with your best shot. If you don’t get their interest here, the rest of the presentation will be lost. 3. Outline Your Points. Once you have their attention, you need to present your information in a logical and organized fashion.. The middle of your speech is where organization is key. When designing, it’s usually helpful to put all of your points on paper, rearrange them in proper order and then eliminate anything that doesn’t add to the conversation. 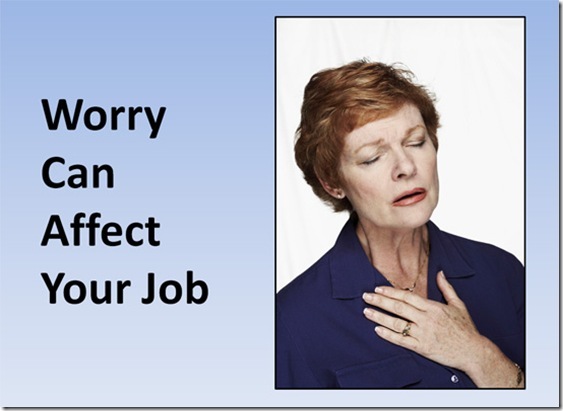 Taking a boring or off-topic slide out will increase the flow of your presentation and keep your audience focused. 5. Add Pictures and Graphics. They say a picture is worth a thousand words, and that is really true in a PowerPoint presentation. When designing your slides try to have a main picture or graphic per slide and limit your text to one thought or point. Here is an example. Instead of bullet points, using a powerful picture with one thought per slide adds interest and keeps your audience from falling asleep. 6. Close the Deal. When your presentation is almost over you need to close the deal by asking your audience to take action. You need to ask for the sale, the contract, or to consider your proposal. Just presenting facts without a close, is a waste of time. Remember this. You can learn all the presentation skills in the world, but if you don’t ask your audience to take action you have wasted their time. Your close is what people will remember most. Make it compelling. Make it bright, big and bold. Make it stick! 7. The Focus is You. Like it or not, when you are presenting, the audiences focus is on you… not your slides. If you design your presentation with this in mind, people will follow along. If you just put up a bunch of text and read your slides, you have wasted your time and your audiences. If you If you lack speech skills, organizations like Toastmasters can help. Here are a couple of tips. When you stand in front of your audience, stand to the right side of the screen (as viewed by your audience). Since people read from left to right, this will allow them to see your slide first and then focus back on you. Use the b key in PowerPoint (or the blank button on the remote) to put up a blank screen. This will instantly bring the audiences focus back to you. Use this when you are telling a story, or making an important point and you don’t want the distraction of a slide behind you. This is the easiest presentation skill you can use to instantly gain audience rapport. Always face your audience. If you can put your laptop on the lectern or podium where you can see it, you can put it in presenter’s view. This will allow you to see your existing slide and the upcoming one along with any slide notes on the laptop screen. This allows you to keep your eyes on the audience instead of turning around to read the screen and is one of the best way to improve your speaking skills. If you can’t put your laptop here, you can print out a sheet with your slides on it. I find that 6 to 9 slides per page works well. Having a small pocket mirror on the lectern allows you to see the screen without turning around, so you know what slide the audience is currently viewing. As you outline and possibly write out your presentation, go down the list and make sure you’ve added contrast, interesting points and most important, be sure to include a call to action. Once done with the outline, underline points of inflection and make a note of key points that you want the audience to leave with. 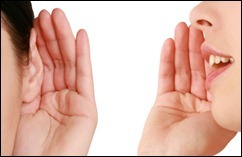 By refining your “speak presentation” you can take your overall interaction with the audience to a whole new level. Here are five techniques that professional speakers use to draw their audiences in. Eye Contact. 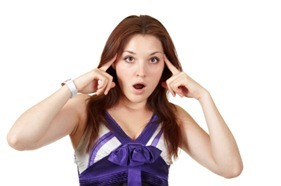 Use your eyes to gain rapport with your audience. As you scan the audience, make eye contact with individual people for a brief moment. 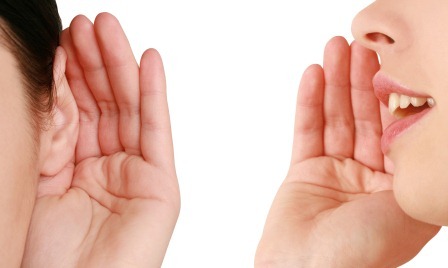 This instantly gives them the feeling that you, the speaker, is talking directly with them. Pitch. Different pitch points provide different emotional reactions. A distraught voice has a different pitch than a happy voice, which is distinct from an excited voice, and so on. Stories are good place to vary the pitch and will bring a speaker’s voice alive through different emotions. Pace. Watch your overall pacing. Have a few people critique your speed. Many novice speakers tend to go way too fast. A good tip is to keep it fast enough to make it exciting but not too fast that people cannot follow along. One trick to draw attention is to keep a moderately quick pace but slow down through key statements. This helps your audience focus on memorable take-aways that will stay with them after the presentation. Volume. Make changes in volume that align with your variations in emotional content. Use a loud voice for anger or joy, while a soft voice is just perfect for fear or sadness. Pauses. A quick way to use the pause for effect is to use short pauses following every sentence, and longer pauses at the ends of paragraphs or transitions within your speech. A well used pause is magic. 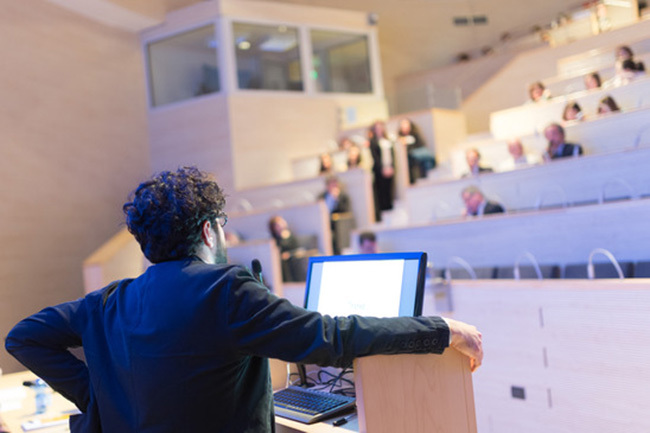 By mastering a few public speaking skills, you’ll quickly build rapport with your audience. Now that you have some ideas and techniques for a new presentation, it’s a good idea to practice them with an audience present before you go live. This will increase confidence and help you discover areas that might need polishing or improvement. A great place to do this is a local Toastmasters club. You can find one close to you by searching the club listings at Toastmasters.org. Their ten speech introductory manual will help you master the speaking points above and help you build trust in your speaking skills. Creating powerful, interesting and professional presentations is a great way to build your business, sell your product or get a promotion. Follow these simple tips and you’ll stand out from that boring crowd reading their slides and putting everyone to sleep. Instead, you’ll have people commenting how good your presentation was and following through on your call to action. Question: Which of these presentation skills do you want to master most? I’ve been blogging for over eleven years now, and many things have changed. Social media has come on the scene, and now drives much of the traffic on the web. In the early days of blogging, comments were common and interaction was great among bloggers in a similar niche. Now the primary conversation has moved to one or more social network channels, such as Facebook and Twitter. Blogs, however, are still relevant as a communication medium, they are just a destination, rather than a source. RSS feeds are gone, social links are now the rule. Blogging and presentation success requires multiple social channels. Over the past six months I put aside blogging and have been working on finishing up a new fiction book and doing lots of training with writers and educators. The interesting thing has been my blog traffic. Even though I have not been actively engaged here, my traffic has increased. With over a thousand blog posts, many of which are linked at other sites, my weekly traffic continues to have a consistent rhythm. Unfortunately, new blogs are different. In my blogging for writers training sessions, I’ve learned how hard it is for the average person to get traction at all with a blog. They are told they need one, but usually end up in frustration about three months into the process. They spend the money for hosting, buy a premium WordPress theme, and then get frustrated when they get little or no interaction at all. Maybe that describes you? New blogs are notoriously hard to get off the ground. What I’ve found is that it takes a mix of social media and blogging to gain traction, along with a lot of time and effort. It also takes a lot of experimentation. What worked two or three years ago, may not work at all now. Because of this, I’ve decided to do a 180 on my blogging. In the past, I’ve shared personal development ideas here. I’ve blogged about goal setting, time management, and other personal success topics. Most of these are evergreen. They don’t change much over time. While a revolutionary idea or book may come on the scene, the basic principles have been around for years. Popular authors like Dale Carnegie, Zig Ziglar, and Stephen Covey wrote landmark books over forty years ago, yet each of their core ideas are still applicable today. What has changed is how we consume and learn their content. In the past, we would buy a hardcover book, read it and highlight text, then take notes and apply it. Now we may buy a Kindle Ebook, listen to a personal development podcast, or watch a motivational YouTube video. We may see a quote on Instagram, that leads us to a Pinterest page which links off to a LinkedIn post that ultimately leads to a personal blog. We might attend a corporate Powerpoint presentation, that leads to a speaker’s page, where we can buy the author’s book which links to their YouTube workshop. The core concepts are the same, but the way we receive them are different. Unfortunately, the problem with all this new media is it is scattered, confusing and very technical. It also may be contradictory or unproven. We have more media and content than ever before, but it quickly becomes overwhelming and disconnected. I would argue that in many cases, the old hardcover book was a better reference than the scattered media of today. For me, and for Google, the real power in today’s media is to become an authority on a particular subject, and offer a complete overview or solution in one place. Instead of having to read 15 blog posts to capture an idea, I can go to one authoritative post or buy a complete educational program that gives me the tools I need for success. The media will be available in a format that I can quickly access. Blog post, video or podcast. Maybe an online Powerpoint. For me, going forward, I want to offer you the best experience that I can to learn about personal development topics. To do this, I am going to mix the power of a video, a Powerpoint, and an authoritative blog post all in one. Much of the content I will be covering is already on the blog, but may be hard to find and may be slightly outdated. 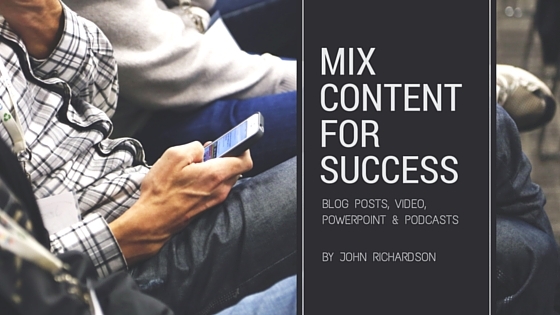 With my new presentation mix format, you’ll be able to view the video content on your phone, interact with the content on your computer or tablet, or listen to the mix as a podcast. Each mix will include downloadable documents. My goal is to offer helpful mixes on a weekly basis. For those of you that are content creators or have your own business, you might be interested in the mix process. The idea is to take blogging, speaking, powerpoint and social media, and combine them into a successful presentation mix. Currently, creating the various media items for successful media presentations can take hours, days, or even weeks. You have to outline the project, write the content, create the graphics, design the powerpoint, practice your presentation, record a video, and then create multiple social media marketing content to promote it. Not an easy task. It can be overwhelming just thinking about it. This type of project usually requires a team of people, lots of time and expensive resources. My idea is to be able to streamline the process so that I can do this myself with the ultimate goal of creating a powerful mix in two to five hours. I know what you’re saying. . . you’re nuts, John. Impossible. Currently it takes me almost two hours just to write a blog post. 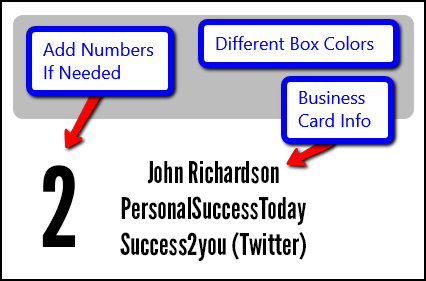 Then I have to create graphics for the post, and spend lots of time creating marketing messages/graphics to promote it. If I want to do a video. . . oh my gosh. . . now I have more time. A podcast. . . yikes!!! You want a Powerpoint on top of all that. . . no way!! Speak about the topic. . . er uh. . . how many weeks do I have?? To make this a reality will take lots of experimentation, feedback, organization, and practice. To help with this, I’m creating a whole new blog, along with brand new social media channels to test my ideas. The format will be short posts, formed as questions. Believe me, I have lots of questions. If you want to streamline your content, and find better ways to share with your audience, I welcome you to follow along over the next few months. As Pat Flynn would say, I want to be the Crash Test Dummy of mixed content creation. I certainly will need your help and feedback to make this a success. I’ll be posting more information soon. This mix format will be ideal for Speakers/Toastmasters, Writers, Educators, and Small Business Owners. I’m super excited about the potential this has to help the average business owner, author, or speaker find traction and ultimately success in building their platform. Presentation success is so important, whether it is online, in person, or on a stage. Having multiple channels for your content is key. The goal is to take the complexity and frustration out of the process and help you create a professional media presentation. I’ll be announcing the new site soon. To be notified when it goes live, just leave your name and email address on our signup page. Stay tuned for our first Personal Development Mix on this site soon. There you are, standing behind the podium, facing a hundred people in the audience. Up on the large bright screen behind you is the display of your Powerpoint presentation for everyone to see. In front of you, perched on the flat surface of the podium desktop, is your laptop, gloriously set in presenter’s mode. You can visually see the current slide and the one coming next. You also have helpful notes for each slide listed under your slide display. Only you can see these. Welcome to command central. You have full control of the presentation at the end of your fingertips. One glance down, and you can see your notes and a visual of the upcoming material. One touch of the arrow button and the slide advances. The microphone is perched in front of you. You have connection with the audience. I used to think this was Powerpoint Nirvana. I could see the faces and my slides at the same time. No more turning to read my bullet points. As a software trainer, I speak to a wide variety of audiences, usually in a half or full day class. Some are small, more intimate groups of 10 to 15 people, while others may expand out to 30, 40 or even 50 people in a room. Each has their own dynamic, and many times what works for one type of group is impractical for others. Recently I have been training an overview course of a new web based software upgrade that has been very popular with many of my local school districts. As I have arranged training with their IT departments, the CTO’s would invariably want to maximise their class size. I’ve recently faced large computer labs filled with Chromebooks with over 40 administrators, office personnel and teachers unfamiliar with the operation of the laptop units, especially the trackpad. Since my training is hands-on, this usually slows the start of the class as we have to get everyone logged in and ready to go. Large classes like this are a challenge, and the pace usually slows as the strange trackpad interface can produce unfamiliar results. Add to this the overload on the wireless bandwidth, and many times the whole class has to wait for screens to update. If my training computer is on the same network, I’ve had my screens slow and crash. As a speaker and trainer, one of my greatest challenges is connecting with my audience. In smaller group settings, I’ve found that having audience members put their names on a reusable tent card offers an easy way to call them by name. This instantly builds rapport and draws everyone into the presentation. A while back I created a reusable tent card in Photoshop and printed it as a 4 x 6 glossy photo. I put my business information on one side and a gray box on the other. Once folded the audience member would see my info and I could see their name from the front. A win-win. I quickly found that this had the added benefit of being reusable if I used a dry-erase marker on it. Using a chalkboard eraser or damp rag, I can instantly wipe them clean and reuse them for later meetings. To add further versatility, I printed some in different colors which allowed me to quickly divide up the room for exercises or interaction (blue cards on this side, green cards on the other etc.). For my training sessions, I add a number to the business side, which allows me to have each member login to a different user in my software demo data (user 1, user 2 etc.). Today I’d like to share a few cards with you via a free download. These are easily editable via PicMonkey or Picassa and can be printed quickly at your local one-hour photo store (I use Costco). For your convenience, I’ve created cards in five colors and saved them in a zip file. They are sized at 4 x6 inches at 300dpi. 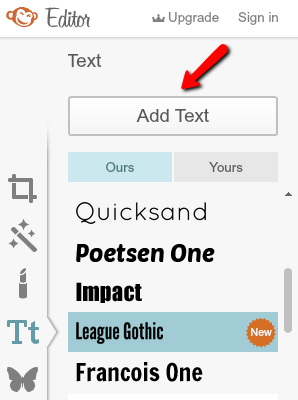 Click on the text icon on the side menu and select a font of your choice. 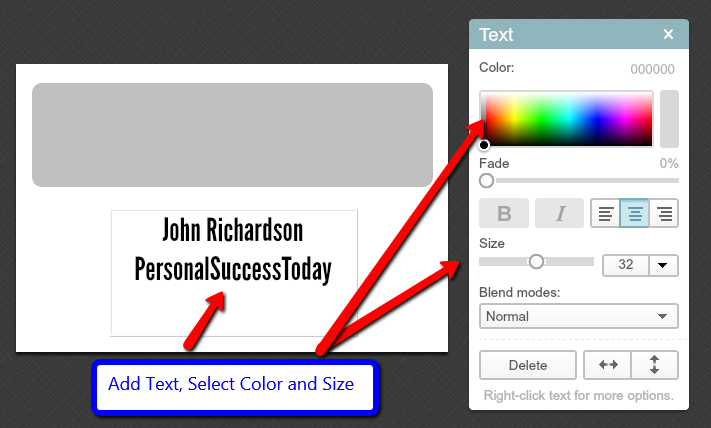 Type in the text you want and select color and size from the menu. 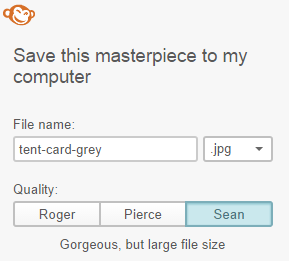 Take your finished jpeg files to your local photo store. Have them printed glossy at 4×6 inches for best results. 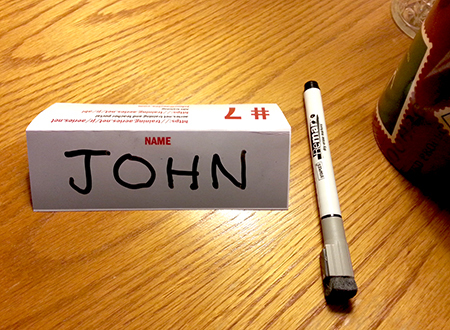 Use a Dry Erase Marker to add names to the cards. Question: How will you use your reusable tent card?